*If you attend a book-signing and get your picture taken with the Duggars, email it to us at DuggarFamilyBlog@gmail.com, and we will put it on the blog! Do you have any further information about the one on Saturday in the Durham-Raleigh, NC area? I know the time and location, but wondered if you needed anything to ensure you can get in to meet them. Also, do you know if most of the family will be at that one? Ohh how I wish I could go tonight and see them! But, it isn't going to work out! :( Thanks for all these updates!! Will you be coming to the los Angeles area in cali? Is that Joy Anna on the end? If it is she is beautiful! And I am so glad she was included with the "big girls"
Will the whole family be there? Or just the four older girls? Joy Anna looks so pretty! She is really growing up fast. The girls will be accompanied by their family. Will the whole family be at the one in Durham-Raleigh,NC on Saturday, March 15? What about Josh, Anna, and their 3 kids? Oh goody!!! They will all be at the book signings hopefully. They are coming to Alabama next week and my twins will be so surprised!!!!! Unfortunately, Los Angeles is not one of the stops on the Duggars' book tour. I have never been to a book signing before so I don't know what to expect. I have a 6 year old with Cerebral Palsy who is non-verbal , but understands EVERYTHING, would they allow the Duggers to say hello to her and maybe take a picture? My daughter just loves to watch all the Dugger kids running around on the show, she gets giddy with excitement and makes what we call "dolphin noises", they are her happy sounds! They probably want to move the crowds at the book signing pretty quickly I'd imagine. Well, whatever God's will is, if we don't at least my daughter will have a great book signed by some lovely young ladies that she can cherish for as long as she wants. I heard that they might be going to Mississippi, any ideas when that might be? I'm wondering why Jill is the one that is the spokesperson for the children. It seems as though whenever an interviewer asks a question directed to the children, Jill is the one to respond. I'm upset that I couldn't go to the book signing last night due to the weather. However, I'm planning on going to the book signing in Durham-Raleigh, NC this Saturday, March 15. Do you know if you whole family will be there? What about Josh, Anna, and their kids? will maine be a stop on the tour? Josh and Anna are planning to be at the book-signing in Raleigh. if the girls wrote the book why is the whole family with them? seems like the girls cannot do this on their own. How does Josh manage to get so much time off from work to join his family when they make appearances on TV and to go with them to all the book signings? Why does Jim Bob and Michelle feel that the whole family has to appear at all the book signings when it is their daughters' book? Do they think by parading around the whole family they will sell more books or do they not trust the girls to do it on their own? Unfortunately, Maine is not a stop on the book tour. The whole family has plans to be at the Durham-Raleigh signing. The store opens at 10, and the Duggars arrive at 11. Attendees who make the decision to sponsor a child that day will be moved to the front of the line. Lily & Ellie- will San Antonio, Tx be on the book tour or somewhere nearby there? Will the Duggars be coming to Texas for this book tour? If so, when and where? Thanks! Hang Out with the Duggars! 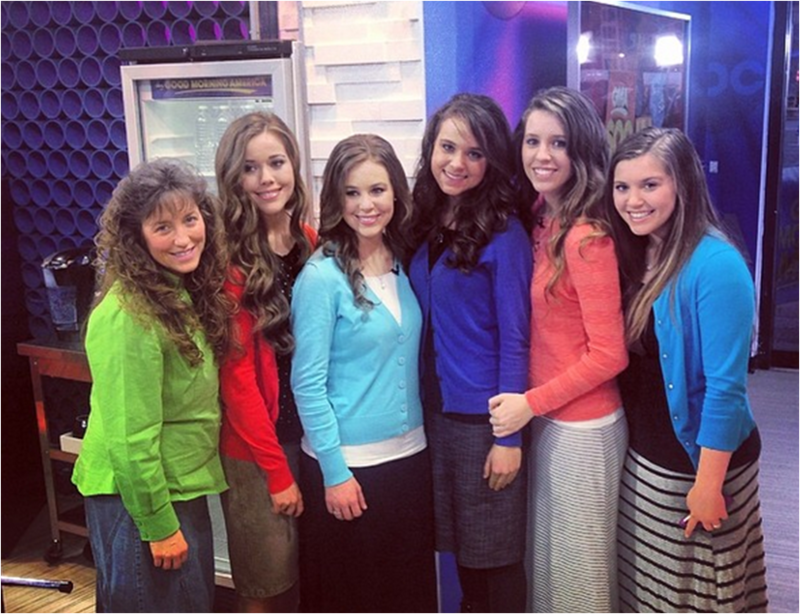 Duggars Return in 8 Days!